In 2018, the European Commission proposed an approach to capitalise on the opportunities presented by artificial intelligence (AI) and to address the new challenges it brings. The three-pronged approach aims to boost public and private investments, prepare for socioeconomic changes due to AI and ensure a suitable ethical and legal framework. MCAA member Mohammad Ali Zamani and Marie Sklodowska-Curie Individual Fellow Jia-Jie Zhu share their thoughts on AI with us. AI is transforming our world. What new challenges does it present that Europe should meet? Data is generally very expensive to collect, both time- and cost-wise, and might risk individual privacy. Moreover, one big challenge is that even trained systems may still struggle in novel situations or generally in real-life conditions. Such malfunctions may lead to mistrust among AI users, especially the less experienced ones. This needs to be addressed in better AI Additionally, for active types of AIs like robots, interacting with a novel environment is also challenging. For example, in the robotics field, although there are robots that manoeuvre in very real-life conditions, manipulation of new and unknown objects is still a challenging topic. Perception has improved due to the large quantity of data that’s easily available nowadays. However, there’s no data for a particular robot and an environment unless the robot starts to interact with the environment and collect data. So, a robot learning how to act in the real world is a much more complicated problem. Even solutions for one robot may not be directly deployable on another type. Therefore, I think that improving the robustness of AI algorithms is critical, which is possible through mechanisms like self-learning algorithms. I was born in Iran and completed my Bachelor’s degree in electrical and control engineering at the University of Tehran. Passionate about AI and robotics, I pursued a Master’s in computer science at Ozyegin University. Then, I joined the Knowledge Technology Group at the University of Hamburg to work on cognitive robotics. 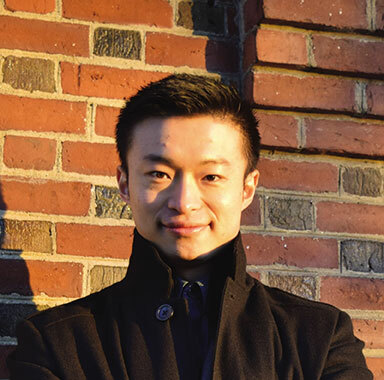 I grew up in Shanghai, and studied mathematics for my undergraduate at Fudan University and applied mathematics and statistics for my PhD at the University of Florida. I work at the Max Planck Institute for Intelligent Systems in the areas of optimal control (using optimisation to control and make decisions) and reinforcement learning (an AI subject), with a focus on robotics applications. One particularly tough challenge is how to attract global talent. Obviously, Europe has a hurdle to overcome in that much AI talent, even European scholars, choose to work in North America. Traditionally, Europe has been a force in basic scientific research such as physics and mathematics, but it’s playing catch-up to North America when it comes to the technology sector. The education system isn’t particularly focused on applied research such as computational science. But we’ve been witnessing amazing progress recently such as Max Planck and ETH Zurich. Rather than challenges, I see more opportunities for Europe. For example, boosting manufacturing with robotics and automation, self-driving cars and innovation in other sectors like finance and investing. How will advances in AI influence the scientific field? In the future, we expect AIs that are close to human-level perception, analysis, and more importantly, intelligence. It will be far from a replication of a human but, I think, it would be good enough to solve basic tasks. With such abilities, we can assume that AI can be applied as a tool for analysis, diagnosis and decision-making in other scientific fields. The study of AI, particularly machine learning, will bring new tools to many scientific fields. The ability to process and draw conclusions on large amounts of data makes a key difference in fields such as biology and medicine. In robotics, a lot of times, learning becomes a necessary tool. Robot learning is gaining popularity. It applies AI and machine learning techniques to robotics in order to solve problems that traditional methods have difficulties in doing. AI has also been at the forefront of many good scientific practices, such as double-blind peer reviews and close collaborations with industry. Europe has world-class researchers, laboratories and start-ups in AI. It wants to be at the forefront of AI developments, but competition is fierce. The European Commission is proposing an approach to make the most out of the opportunities offered by AI. In your opinion, how can the Commission boost AI uptake across Europe? I think AI solutions that perform well without bias and violating privacy will eventually be commonly used. Besides supporting research in bias and privacy, in the long run, we need algorithms that are more data-efficient and explainable. Data-efficient algorithms will suppress the urge for more data, and individual’s privacy remains respected. Also, explainable AI gains public trust by clarifying for its users why a decision has been made. To boost uptake, I believe the Commission can support researchers by focusing on methods that are data-efficient and explainable. One concrete solution is to create jobs for the young who are or will be entering the job market, especially in academia and basic research. Without job prospects, it’s hard to imagine that researchers will choose to work here. I myself choose to be at Max Planck because of the research topic fit, reputation and personal preference for a European lifestyle over an American one. But I also watched as many young researchers left Europe after they did their PhD/postdoc. Language is also an issue. In many countries, the local language is a must to be a tenured professor, which prevents many international researchers from staying.